We are ready for our new release. This release of AnyWhere Elementor Pro includes lot of small but very useful tweaks. We have added WPML compatibility to all our widget. All the widgets of AE Pro are not translatable through our plugin. So you just have to translate your AE Template and your site will load the translated version of AE Template. Check this article by WPML team to know more about how to translate Elementor layouts using WPML Translation Editor. Now you can display images from ACF Gallery field as Carousel and Slider. Now you can sort your posts using meta key (custom fields). For example, you have a post type movie with a custom field for release year and you want to show all movies sorted by release_year. Just select it in widget settings as shown in the screenshot below and all your movies will be sorted by release year. Comments are essentials part of Post Meta section. But it was missing from Post Meta widget of AE Pro. In this release we have added option to show comments count along with link to comments form. See a sample implementation below. 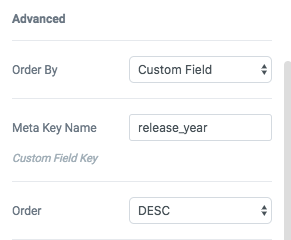 Now you can create completely dynamic links using Custom Fields. Earlier it only allows you to fetch url from a custom field, but the anchor text was static. Now you can use another custom field from where the anchore text will be fetched. 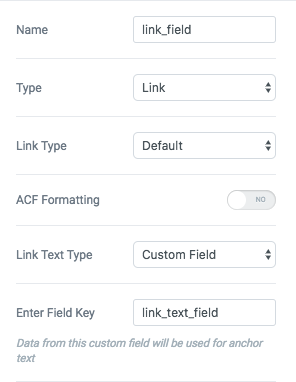 So you can have 2 custom fields – one for link url and another for link text. 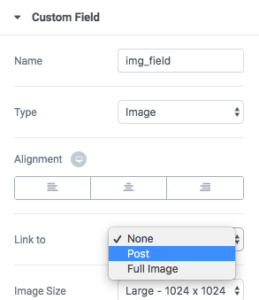 Another enhancement in custom field widget is that now you can now define how you want to link an image from custom field. Along with all this, there are many other enhancements, bug fixes.